The Companion is presented with a “pin” in keeping with the tradition of both the Anglican and United Churches and CCS’s predecessor schools, to give graduates and Deaconesses pins. Nominations must be received by September 30th each year. Nancy will be recognized as a Companion of the Centre at the Annual Service of Celebration on March 24, 2019. Sue’s ministry began as a nurse, as she graduated from the Wellesley Hospital School of Nursing in Toronto in 1958, and worked as a Registered Nurse until she graduated in 1985 with a Diploma in Diaconal Ministry from the Centre for Christian Studies. From 1985 – 1987, Sue worked at First St. Andrew’s United Church in London, Ontario, before moving to become the first chaplain at the newly established Carlington Community Chaplaincy in Ottawa. After ‘retiring’ from chaplaincy in 2002, Sue worked at First United Church in Ottawa, mostly in pastoral care, until 2011. Sue’s ministry has not be limited to her paid accountable work, but is also evident in her active volunteer work with the Multifaith Housing Initiative in Ottawa, the Ottawa Mission for Men, as a Healing Pathway volunteer, with Hospice Care Ottawa, and with Bethel Hospice in Inglewood. When Sue spoke with our students in the learning circle yesterday, she spoke of connectedness with the Holy Spirit, that indwelling that enables us to be at home in ourselves. And at last night’s banquet, when asked for a scripture passage, Sue mentioned Luke 4, and John’s gospel – both evoking the Holy Spirit, indwelling and connecting us to one another and with God. Connection is often associated with charismatic personality, but Sue has an even rarer gift and finely honed skill – the ability of connecting lasting community. In the letters supporting Sue’s nomination as Companion one phrase stood out because it was repeated so often: when describing a new initiative or program, they said that it “continues to this day.” Sue named the ministry of connection as being at home with oneself, connected with God and connected with community. 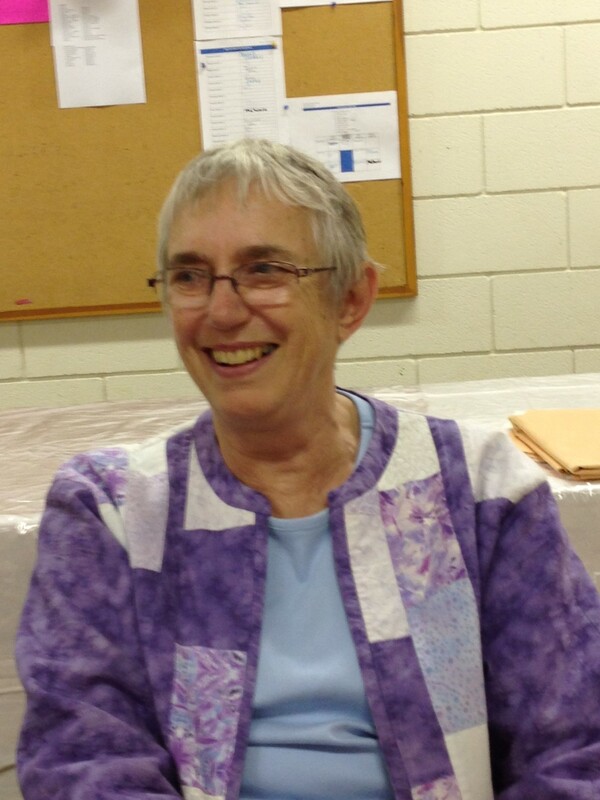 Sue built a pastoral visitation program with women from Carlington and volunteers from outside the community, using her ability to connect ecumenically and across class and disability differences. She started book studies and monthly lunches, all of which “continue to this day”. She worked towards right relationships between indigenous peoples and settlers, including participating in Truth and Reconciliation Commission gatherings. Sue talked with the students about the importance of keeping healthy boundaries, and overcoming barriers in ministry. Sue has been a leader who has faithfully and consistently embodied in action and taught through education “justice, compassion, and transformation”. In her living and in her ministry, she has engaged as an individual and led others… constantly pushing boundaries. Sue has an open heart and easily enters into dialogue across religious boundaries as well as cultural boundaries which includes engagement with the secular world… Sue takes a wholistic approach integrating faith with social, economic and ecological justice… throughout she has nurtured community by bringing people together. Sue’s ministry has brought good news through her presence. She has proclaimed release, not by rescuing people, but through building community and capacity. She has restored sight – through advocacy with disabled people and through challenging the blindness of middle class, settler Canadians. Her clear focus on justice proclaims liberty for the oppressed, and her very presence proclaims the year of God’s favour. In my understanding, spirituality is about a sense of connectedness or a search for connectedness: connectedness within ourselves or a feeling of “being at home” within ourselves; connectedness with others in relationships; connectedness within the wider community or world; connectedness with the universe or creation and the mystery that we might call God. A connectedness that gives meaning to life. At the end of each Learning Circle, the students meet in small groups along with a member of staff to review their learnings. They give and receive feedback on the progress they see in each other on reaching learning goals they set for themselves or on any of the 18 Learning Guidelines used by CCS to determine a person’s readiness for commissioning as a Diaconal Minister. Students offer affirmations of the gifts, strengths and skills they see in each other, and encouragements in areas that call for continued to growth and development. When they do this, they try to give concrete examples to illustrate their feedback. Linda – to determine your readiness to become a Companion, I want to offer affirmations and encouragements in four key areas – Social Ministry, Context and Culture, Diaconal Identity, and Lifelong Learning. But first, a bit of contextual background. Linda Ervin graduated from the Centre for Christian Studies in 1973 and began her diaconal career as Minister of Christian Development in a congregation in Calgary. She then moved to First United Church in Vancouver which sparked a lifelong interest in and passion for social housing. After a return to congregational ministry in Vancouver Burrard Presbytery she joined the faculty at St. Stephen’s Theological College in Edmonton, coordinating the Master of Arts in Social Transformation Ministry and the Diaconal Ministry degree programs. She later took a job in a Mission partnership between Japan and North America that involved work in Canada and the US as well as Japan. Upon return to Canada, Linda applied her diaconal skills as a transformational educator when working to help congregations in BC and Alberta move through difficult transitions and find new ways of witnessing to God’s love in the world. And that’s only the half of it! Other contributions and achievements will emerge. Maria and her children stayed for 18 months. Linda organized community support, including liaison with Canada Immigration, with Church authorities, and community volunteers. When the Vancouver School Board questioned enrolling undocumented children, Linda argued the case on the basis of the UN Declaration on the Rights of the Child, including education – and won her point. I affirm your hospitality, your principled response under duress, your knowledge of your people and your nurturing of their support. And I encourage you, Linda, to continue to stand in solidarity with those who seek sanctuary and refuge. Another area of strength is your awareness of context and culture. “Appreciates a variety of cultural, social, political and religious perspectives; acknowledges and respects cultures other than one’s own.” “Has knowledge of and understands denominations and faith traditions other than one’s own.” This was evident in your time of service and for Japan in your job with the Japan North American Commission on Cooperative Mission. It also came to light in the eight years you served first as co-president with Sister Hildegard Hartel of Brazil, then as sole President of the Diakonia of the Americas and the Caribbean (DOTAC). Linda, I affirm your welcoming spirit, your skills in building community, your ability to “listen to people speaking English in many different ways”, and your willingness to advocate for justice, as evidenced by your work in starting up DOVE – Diakonia Overcoming Violence Experience. Lisa Polito, the current president of the Diakonia of the Americas and the Caribbean, says you introduced the practice of running meetings by consensus, though when she took office she didn’t take that to quite the same length: “If I need to go to the bathroom, I make the decision for a break without checking the mood of the whole group.” Linda, I encourage you to discern when consensus is called for and when decisive action might be more appropriate! A third category from our Learning Guidelines is Diaconal Identity – “is familiar with diaconal networks – denominationally, regionally, and internationally.” I would like to affirm your many achievements in enlarging a global vision of diakonia. You not only served on the coordinating committee of DOTAC, but were also a founding member of DUCC, the Diakonia of the United Church of Canada, and served as Vice President of the World Federation of Diakonia. Using another example from Lisa Polito, she says that when you served as DOTAC president, you wrote to all new deaconesses, deacons, and diaconal ministers in the member groups of DOTAC. Not only did you become familiar with these networks, you created and nurtured them! I encourage you to never let go of this passion for diakonia and for drawing the diaconal circle ever wider. And fourth, Learning is a mark of Ministry Leadership – “Understands learning as a lifelong process and commitment.” Throughout your ministry you have engaged in continuing education, acquiring degrees (a BA and MTS) and certificates – in Canadian Urban Training, Clinical Pastoral Education, and Interim Ministry. You have served as mentor and learning facilitator in all aspects of lay and ordered ministry. You have supported the educational ministry of the Centre for Christian Studies including serving on committees, most recently the Program Review and Redesign Committee, fearlessly making cold calls to people who are now friends and fans of the Centre for Christian Studies. Senator Nancy Ruth affirmed your continuing desire for knowledge, your constancy as a learner – always interested in new things, in politics and running for office, in ways to make the church more just and caring, in seeing everyone you meet as a chance to learn something new. Linda, I encourage you to keep on learning! Linda, has a deep passion for diaconal ministry. She not only does the work of ministry, but embodies the essence of diaconal ministry not as a profession or job, but as a way of life that the Centre for Christian Studies articulates as a theology committed to justice, a life dedicated to transformational education, to outreach, advocacy, social ministry, and pastoral care. Linda Ervin lives the values of the Centre for Christian Studies. It gives me great honour to recognize and receive Linda Ervin as a Companion of the Centre for Christian Studies. Today Stan McKay is honoured as a Companion of the Centre for Christian Studies because, although he is not a deacon himself, his life continually demonstrates the active spirit of diaconal ministry and the core values of CCS. Yet, we are honouring Stan today not just because he reflects back to us diaconal values, but also because he has a way of showing us a vision for shared hope, mutual respect, and diverse belonging. 1 . Approaching theology from a position of inquiry and struggle, striving to extend our boundaries outward in dialogue with other denominations, religious traditions, and spiritual expressions. Stan has worked tirelessly to expand the boundaries of religious expression and tradition in the United Church of Canada and beyond, which includes his participation in the World Council of Churches, his role on numerous General Council committees, and of course, his role as Moderator. As National Co-ordinator of Native Ministries Stan also affected the manner by which dialogue and interaction took place. He encouraged the circle model and consensus building for decision making. We are also reminded of Stan’s involvement in the formation of the All Native Circle Conference of the United Church, which was created, in part, to bring together and amplify the many unheard Indigenous voices, but also to honour Indigenous practices and beliefs within The United Church of Canada. Stan consistently preaches a message of interdependence and an ethic of caring for ‘all our relations’. The earnestness of this conviction invites genuine inter-faith and inter-cultural dialogue – for example, I’m thinking of his conversation with Raheel Raza at CCS’s 120th Anniversary – but it has also helped to shift ethical discussions away from an anthropocentric view to include all of creation among our relations. 2. Responding to the prophetic and gospel call to share resources, to restore what was taken, to reconcile what was divided, to embrace those who have been excluded. One supporter has said of Stan that he displays truth telling, justice, and compassion as guiding principles. Another has said that he has the ability to communicate hard truths in a way that do not berate or humiliate others. When asked how to communicate these hard truths when one is angry, he said with equal parts humour and seriousness, “You can say almost anything you want if you smile.” We should acknowledge how difficult all this is, and also how gracefully Stan embodies humour and seriousness. He was an integral member of the National Native Council of the UCC, which helped pave the way for an important apology from the Church for its role in the colonial destruction of Indigenous culture and the residential schools program in Canada. More recently, Stan has contributed personal testimony and challenging insights for the ongoing Truth and Reconciliation process in Canada. Here we not only witness his commitment to transform relationships, but also his prophetic warning not to bypass the hard work of justice that is needed in order to make reconciliation genuine. 3. Believing that education is most effective when it engages the whole person, when we are co-learners and co-teachers, and when it is relevant and collaborative. Stan has acknowledged that although he holds two degrees from the University of Winnipeg, his most impactful and deepest learning, in both Christian and Aboriginal teachings, has come from the elders of his Cree community. As a result, he has been committed to developing theological training for Indigenous students that is culturally appropriate and contextually relevant. Stan was instrumental in the formation of the Dr. Jessie Saulteaux Resource Centre and he served as a director and educator there for several years. The pedagogical model practiced there, as it is today at the Sandy-Saulteaux Spiritual Centre, has influenced CCS Learning Circles. And the two centres have a relationship that continues to this day. 4. Fostering partnerships of solidarity for common cause. A colleague of his remembers feeling “drawn in to work in solidarity by his patience and generosity.” Today Stan continues to be an active community member, spiritual leader, and national advocate for justice and right relationship among all peoples who inhabit this land. In Winnipeg Stan is on the steering committee for the redevelopment of the Merchants Hotel, which will include a community centre, education facilities, and affordable housing for people in the neighbourhood. This project is an opportunity for a community to realize its dreams. It brings together a broad coalition of groups, institutions, and businesses, which reflect the kind of diverse engagement Stan has always encouraged. It’s been a struggle for me when making citations for Companions, to keep them to a reasonable length. I resolved this year to pare down my remarks, but wish I hadn’t! There’s so much I could say! When I pondered whether or not to accept the appointment as principal in 2011 and make the move to Winnipeg, one of the deciding factors was knowing I would get my old “boss” back! In fact, I felt twice recruited by Jim Boyles, as it was he who appointed me to Central Council when an Interim Central Council was formed in December 1997, which then became the Transitional Central Council which I co-chaired with Deb Schweyer. I got to know Jim Boyles as General Secretary when I began work at the Anglican Church House in 1996 until he retired in 2005. During that time, I came to respect him for his steadiness, clarity, and compassion as a consummate church administrator, for his skill and integrity at navigating The Anglican Church of Canada through the first stages of litigation and reconciliation in the aftermath of the Indian Residential Schools, and later, for his leadership as a member and then co-chair of the Central Council of the Centre for Christian Studies. 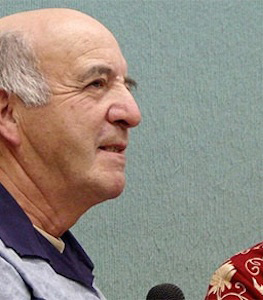 Jim’s role as General Secretary represented for me the best of what it means to be diaconal – he showed a combination of initiative and judgement in his own right, and yet knew how to function supportively and effectively in relation to Michael Peers, the Primate at the time. There was no confusion or overlap of roles. He had the gift of maintaining calm and transparent communication in times of crisis. When I first arrived at Church House, we were in the midst of major budget cuts and restructuring during which there was much angst, anger, and upheaval, yet he navigated us through these critical times, paying close attention to the institutional requirements of the church, as well as to the in-house needs of staff. This work continued when the issue of the legacy of Residential Schools intensified during the 1990s and early 2000s as a critical reality for the Anglican Church of Canada and other mainstream denominations. Somehow in those years, every one of us at Church House knew that the bankruptcy of General Synod was a real possibility, yet there was a feeling of assurance that our work was valued, that we would not be caught by surprise if our jobs were going to be affected, and that the work and the uncertainty was for the sake of a cause much larger than ourselves –repentance, justice, reconciliation, and truth. 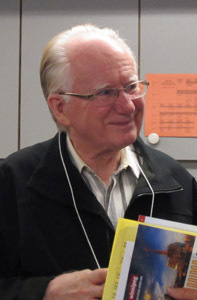 As one of his nominators pointed out, “When the Anglican Church of Canada was confronted by the reality of its own racism, oppressive conduct and complicity with evil… Jim brought his administrative clarity, process skills, and ability as a communicator to bear on the work of apology, repentance, and seeking right and new relationships on behalf of the church. He brought his gifts of compassion, integrity, and unflinching commitment to service to the tasks at hand: legal processes, precision of responsibility and liability, and leveraging financial resources required to fulfill those responsibilities. He formulated the church’s priorities and kept to them: first, to promote healing and reconciliation in the aftermath of the Indian Residential Schools, and second, to survive as an institution in order to carry out the first priority. It’s hard to believe that during these tumultuous times, Jim also served on the Central Council of CCS throughout a time of discernment and difficult decision-making –about the future of the building at 77 Charles Street, about our future as a theological school, about the appointment of a new principal after Caryn Douglas retired, first in 2008, and again a few short years later in 2011. To me, he exemplified “action/reflection” in these times of uncertainty, tension, and turmoil. Undoubtedly, in retrospect, other and perhaps better choices might have been made, but his gift was to assemble the information and commitments known to us in the moment, and to help us as an organization to move forward with boldness and confidence. He did not hesitate to attend to detail, even inconvenient or difficult detail if the occasion demanded. In the days when plane tickets were not available on line, I remember Jim interrupting his weekend to meet me at Church House and let me to get my ticket to Cuba for a flight leaving before Monday morning. He baked and brought home-made cookies to meetings and parties. He alerted us to snow days, and on more than one occasion, he phoned people one by one to inform them of the untimely loss of a colleague. Jim’s has been a genuine ministry of diakonia, always carried out in the concrete, nitty-gritty details of daily life: setting the table with the right information, ensuring that all the guests are present, seasoning the documents with exact and precise language and intent, attending with patience and grace to everyone’s needs and hopes. Irene Rainey has worked as a nurse, stay-at-home mom, a congregational staff associate, a presbytery staff for Christian Development, a community minister at St. Matthew’s-Maryland. She studied nursing at Wellesley Hospital, women’s studies at the University of Manitoba, diaconal ministry at the Western Field Based Program. And for St. Stephen’s College, she researched and co-wrote a thesis on reclaiming lament as a resource for transformation. In the church, she has volunteered for the United Church’s Winnipeg Presbytery Personnel Committee, Conference in the areas of communication, education and justice, the General Council’s Education for Church Leadership task group, the World Council of Churches Ecumenical Decade in Solidarity with Women, the North End Stella Community Ministry Board, Diakonia of The United Church of Canada, and her home congregation, Augustine. All these efforts and involvements, represent a woman of exceptional energy, passionate commitment, and steadfast engagement. In all these accomplishments and endeavours she entered into her tasks and responsibilities in an the incredibly dedicated way. Always she brings a lens of justice-seeking and prophetic witness. Her keen social analysis is deeply, and appropriately, enmeshed in an action-reflection methodology. In her anti-racism, anti-poverty, anti-violence, anti-sexism work, she is a zealous advocate for the disenfranchised, and for those on the margins. Irene is a trusted ally who walks with others in accompaniment and solidarity. Always she enters into a situation as a learner. She exhibits openness, curiosity, and humility. She willingly hears other points of view because she wants to broaden her perspective. Irene asks questions, seeks new insight and offers alternative viewpoints that enhance right relationship. Always she listens attentively with supportive compassion and a calm, patient presence that demonstrates mutuality, a reciprocal position of partnership, and a deep desire to understand. She is open to dialogue. Yet, she is free to disagree. When she is confronting, she is never condescending. When she is challenging, she never makes others defensive. Her critique is offered not imposed. Always she is respectful. Always she is empowering. This grandmother, mother, life partner, traveler, lover of creation and nurturer of creativity embodies the values of CCS: justice, compassion and transformation. It is a great honour for us as an organization, as a diaconal movement, and for me, personally as a friend and colleague, to be involved in naming Irene Rainey, Companion of the Centre for Christian Studies. Eric Tusz-King is being honoured today as a Companion of the Centre for Christian Studies because he lives, exemplifies, and supports diaconal ministry. I like the folk etymology that suggests that diakonia means “through the dust” – the one who stirs things up, kicks up the dust, and makes new paths in the desert in service to God and others. Eric’s life and ministry personify these ancient qualities of diakonia, combining the practical and the symbolic, the personal and the systemic, just as Jesus did when he washed the disciples’ feet. Jesus wasn’t just trying to get the dust off; he was showing his followers how to lead –not imperiously like the Empire, but alongside others, taking care of their needs and vulnerabilities, reversing the positions of privilege and poverty. Eric studied at the Centre for Christian Studies, graduating in 1978, and was commissioned by the Maritime Conference. He also earned an M.A. in Adult Education at St. Francis Xavier University, and an M.T.S. from St. Stephen’s College, Edmonton. His thesis developed a process for educating Presbyteries about diaconal ministry. Eric began his ministry in 1978 at St. John’s United Church in Moncton, N.B. where he was Minister for Christian Education and Visitation. After two years in congregational ministry, he moved on to work at the General Council Office as an animator for global partnerships in the Division of World Outreach. Working in an office with administrative responsibilities is an honourable diaconal profession! He served faithfully in his role there during the 1980s, using it as a platform to make other things happen. He was a member of the ecumenical Task Force on Churches and Corporate Responsibility (TCCR); and a member of the United Church Task Force on Commissioned Ministry. He was a co-founder of the Diakonia of the United Church of Canada (DUCC), and continues to be an active member of that organization at the national and international levels. He served for many years on the Committee on Diaconal Ministry as an articulate advocate for diaconal ministry in the United Church of Canada. One of Eric’s supporters identified him as a person of action who believes that change is possible and helps to make it happen. What a great description of a diaconal minister! More than one person spoke of Eric’s skills in critical analysis and as an advocate of social and environmental justice. These skills led him to challenge unjust structures of institutions and society, to speak truth to power, and to cooperate with the work of the Spirit in the life of the communities of which he has been part. In the early 90s he undertook to work with the Economic Animation Project in Sidney, Nova Scotia, and was later appointed Minister for Outreach, Stewardship and Mission Support for the Maritime Conference, a position he filled from 1993 to 2006. During this tenure, he undertook many social justice initiatives: as a co-founder of the Aboriginal Rights Coalition-Atlantic (ARC-A) and co-founder of the Task Group on Aboriginal Relationships and Concerns for Maritime Conference, advocating with the Aboriginal population for the exercise of their fishing rights. I love that Eric was a co-founder, working in twos or more with others to make change happen. These initiatives demonstrated Eric’s keen sense of hospitality to those on the edges of systems and society, and a growing awareness of the importance of God’s creation. They led him over time into his role as a faithful “household manager” or economist, concerned with the wellbeing of the oiko-nomos, God’s great household that links together people with people, and people with the earth in a web of life. Serving on TCCR (Taskforce on the Churches and Corporate Responsibility) in the 1980s, and working with the Economic Animation Project in the early 90s, and with ARC-A (Aboriginal Rights Coalition-Atlantic) in the mid 90s, helped to hone his skills as an animator, educator, and a starter upper. In 2004 he became a founding director of EOS Eco-Energy Inc., a non-profit organization devoted to public education and research into energy conservation, renewable energy technologies, and sustainable community planning. He founded yet two more companies, Energreen Builders Cooperative, renovating homes to become energy efficient, and Open Sky Cooperative, providing assistance and community for young adults facing social, developmental, or mental health challenges. 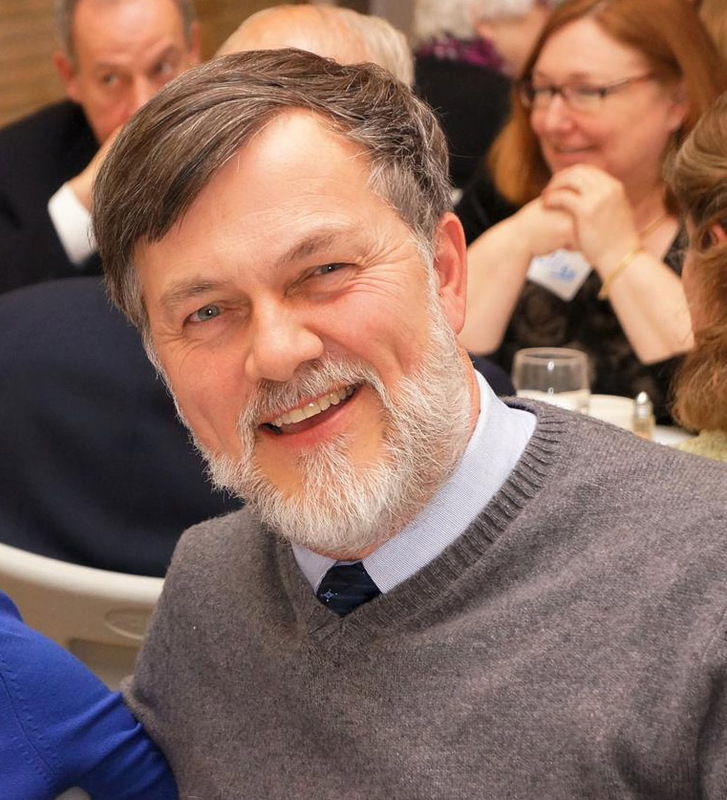 While serving “through the dust” as a person of action, Eric also engaged others in action and reflection – as a mentor, friend, and supporter of diaconal ministers, of CCS and our students. He served in the early 2000s on the Central Council and continues to be a loyal supporter of our school. He has encouraged those seeking to become diaconal ministers. In the words of one of his supporters, “Eric has offered interesting ministry in unusual ways… part of an esteemed group who exemplify excellence in ministry leadership and diaconal style. His ministry is expressed in ways that epitomize the ideals of diaconal ministry” and, I would add, the values of CCS. Eric Tusz-King, thank you. You have kicked up the dust in service to God and others. You have served faithfully as an administrator and administrator. You have been an agent of change, a speaker of truth to power, an advocate for justice and a starter upper, a steward of God’s household. You have also been a friend to diaconal ministers and a loyal supporter of the Centre for Christian Studies to which we now welcome you as a Companion. Lynda Gow was born in Saint John, New Brunswick. Her formal education includes: her BA from the University of New Brunswick, the CCS Diploma, and a Masters in Diaconal Ministry, from St. Stephen’s College. Her extensive continuing education endeavours range from a semester at St. Andrew’s Theological College (Saskatoon) to a Ministry of Supervision Course, to a Clinical Pastoral Education unit and training as a Sexual Abuse Consultant to biblical courses, to short term courses at St. Stephen’s College to study trips in India, Zambia, Iona, and Australia for the Parliament of World Religions. Lynda loves to learn. She assesses clearly what she needs to learn, and intentionally goes about planning ways to develop her skills and grow as a person. Before her official designation as a diaconal minister, Lynda worked as a youth and young adult director in YWCA in St. John, and a Manpower counselor in Amherst. Since commissioning in 1978, she has served congregations in: Sherwood Park, Alberta; St. Andrew’s United, Calgary; Southminister-Steinhauer, Edmonth and Knox-Metropolitan United, Edmonton. Since retirement she has acted as Recreation Director, Ashbourne Assisted Living Place in Edmonton. Her ministry has embraced educational endeavours and leadership development. She demonstrates a sensitivity that meets congregational members where they are. Mid-week groups and Sunday school teachers have benefitted from her guidance. Traditional groups and members felt supported by Lynda. At the same time members with emerging interests and educational needs in areas such as feminism and justice in sexual orientation have appreciated her leadership. Quietly and without fanfare, she journeys with others, providing pastoral care for the elderly, visiting in care facilities and in the homes of members who couldn’t get out anymore, accompanying those who are struggling with a variety of crises and concerns. Social justice concerns and ecumenical connections have been important to her. She respects differences, honours diversity and carries a compassion for others. Virtually all of her ministry positions have been in team ministries. In each of these situations she has proven herself a professional and a team player. She dedicates herself to every task she undertakes: Local church committees, Presbytery Pastoral Relations, Conference Education and Students the General Council permanent committee on Ministry and Employment Policies and Services, Diakonia of The United Church of Canada, CCS Harrassment Advisory Committee. Her knowledge of church policies and procedures is connected with her wisdom. She can sit back, ponder a situation and then calmly offer a solution that is logical and doable. She approaches issues and making decisions with a gentle and informed honesty. If the situation calls for it she can certainly be firm and clear, but she is never authoritarian or controlling. Throughout her ministry, she has mentored others in a way that people felt they could go to her with questions, hopes, fears. She listens patiently, without judgment offering her genuine acceptance of people, her warmth and good humour, and her unfailing friendship. A woman of hospitality, her home acts as a gathering place for many special occasions and as a Bed and Breakfast for out of town guests. Her residence is a place of welcome, an easy place to be and it reflects her generosity of spirit. Lynda values community, and learning in community. She has participated actively in the annual Women’s Weekend held in Alberta and Northwest Conference, in retreats planned for diaconal ministers in the conference, in the national gathering of the United Church diaconal community. Modeling self-care Lynda balances her commitment to others and to herself, keeps herself healthy and functioning well, maintains clear boundaries, claims time for rest and renewal, pursues leisure time activities that give her energy and life. One of her nominators wrote, “Dedication, perseverance, loyalty, professionalism, and good humour are characteristics that define Lynda Gow.” Another testified that Linda demonstrates great integrity: an integration of faith and life; an integration of theory and practice; an integration of faith, education, justice, service and pastoral care; an integration of the “inner” and “outward” life. 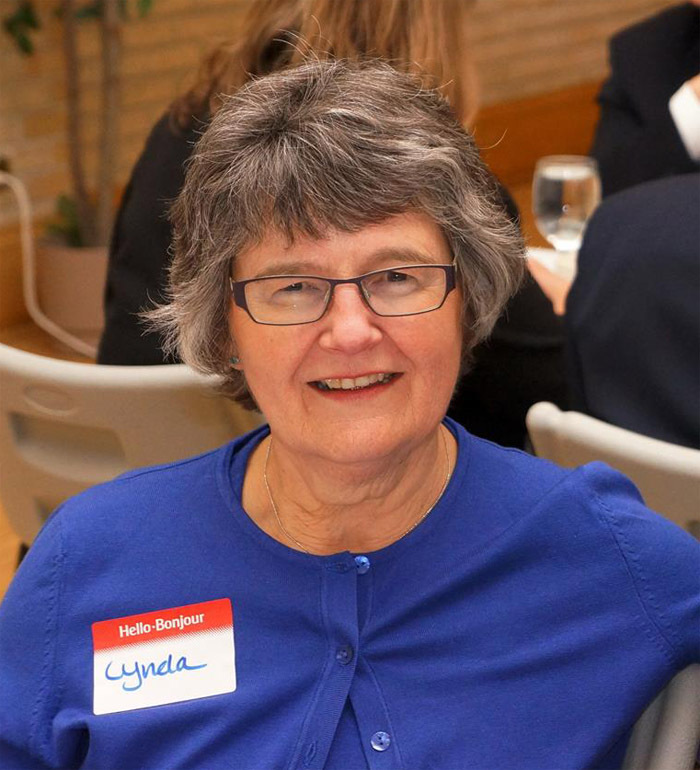 In naming Lynda as a Companion of CCS, we honour a person who, throughout her ministry, worked with a gentle diligence in roles assigned to her, while nudging herself and the church toward faithfulness and transformation. Throughout her life, Marion Logan has responded to social justice concerns and sought feminist consciousness in church and society. She has held appointments as staff member in the YWCA, Conestoga College and the Women’s desk at the United Church of Canada. At home she initiated the gatherings of the Ontario Women’s Conference and many other projects focusing on feminism. In the mid 1970s, Marion and half a dozen others were asked to establish a shelter for abused women in Cambridge. Marion played an instrumental role in the founding of 2 local spirituality groups for women. Marion also was involved in the beginnings of The Women to Women choir; a group that is still singing!! During Marion’s 5 years at United Church House, she began a small mimeographed newsletter called Women’s Concerns and in later years, Marion joined the Editorial committee. During these many years, Marion’s primary commitment was to the World Federation of Methodist and Uniting Church Women. She was on the Executive for 8 years editing their newsletter. An American Methodist member and Marion wrote a history book on the “Federation.” The research took them around the world. She also facilitated some reconciliation work with the South African Methodist women (the 3 racially divided organizations). Two World Council of Churches conferences, one in 1979 in Venice, and the 1998 End of the Decade of Churches in Solidarity with Women conference in Zimbabwe were significant mental, spiritual and emotional events in Marion’s life. For all her many achievements she was awarded an Honorary Doctor of Divinity from the Victoria University, the University of Toronto. Her papers are now housed in the archives of The United Church of Canada. Despite this busy absorbing life on the wider stage, Marion remained loyal to her local congregation taking leadership roles, assisting groups in discussing cutting edge theological issues and engaging people of a variety of faiths. At Wesley United Church Marion served as a Board member as well as on the Personnel Committee, chaired at various times the Mission & Outreach as well as the Worship Committees. Having avoided The Kitchen for years, she eventually spent the past few years working with the Apple Corps – making & selling Apple dumplings and pies at the near-by market. She was also instrumental in establishing Wesley’s close connections with South Africa. Locally, she volunteered as a driver for the VON, transporting Seniors to necessary appointments. Marion has continually epitomized the values of the Centre for Christian Studies by practicing experiential, action/ reflection learning, by working for social justice, and by supporting the praxis of feminism. We honour these very great gifts with this award. Throughout her ministry, Jessie possessed the gift of integrating education, pastoral care, social justice, administration, compassion and welcome. Jessie worked in various positions and places in the United Church: Director of Religious Education and Youth Work, Chalmers, Ottawa; Director of Christian Education, Mount Royal, Montreal; Congregational Life and Work Staff Team, BC Conference; Associate Director of Student Affairs, Mount Allison University, Sackville, NB; Associate Secretary, Leadership Development/Deputy Secretary, Christian Education, Church House, Toronto; Pastor in Residence, Atlantic School of Theology, Halifax, NS; Commissioned Minister, St. Andrew’s, Sydney, NS. Whether in congregations, as Conference staff, university, theological school or Church House, Jessie lived out the concepts of justice, faith and compassion, enabling everyone to “find their voice”. a commitment to justice and right relationship, a practice of liberative, participatory learning in an action/reflection methodology, enacting a feminist theology that is historically rooted in a woman’s community, and being a diverse and welcoming community. In living her ministry, Barbara weaves together the three stances of the Centre for Christian Studies- that all life is relational and interdependent; that learning is a process and discipline that encompasses the whole person and that because we believe that creation is holy and sacred, we commit ourselves to speaking and acting in ways that will promote wholeness and peace. One example is her recent contribution to (Carolyn McDade’s) Widening Embrace CD recording project in which she gives voice to the creatures and other life forms that inhabit the earth, discerned through shared journeying with a wise woman of aboriginal spirituality and expressed creatively through images, sounds and stories. She has lived her faith providing spiritual care in hospital and care facilities. Barbara brought together groups for the wellbeing of the whole community. As Coordinator of Spiritual Care, Deer Lodge Centre, she liaised with community religious representatives to ensure spiritual needs of patients/residents were met and developed the proposal for the enlarged interfaith Worship Centre. She was a member of interdisciplinary teams and she created and co-facilitated small group opportunities to meet specific needs (grief support, psychotherapy, unit-based memorial services, stroke support). She supervised and provided spiritual care educational opportunities for chaplains, volunteers and students. Barbara sought out specialized Labyrinth education and became a certified Veriditas facilitator. She now uses Labyrinth as a vehicle to enable spiritual development through workshops and special seasonal rituals. Her creative approach brings the Labyrinth experience alive for many participants. She has shared her considerable gifts with CCS in different volunteer capacities. Her first encounter was through work with the joint Anglican/United Youth Ministry Training Program Steering committee at CCS in the early 1980s. Barbara co-chaired the Centre’s Central Council and in that capacity was described as a team player, a person who treated those she worked with great respect, and a person who acted with integrity. She encouraged the Council to be responsive to the needs of the churches but not to be intimidated by the demands of the churches. She was a member of various groups and committees including the Anglican Task Group, the Development Committee, the Volunteer Recruitment and Support Committee, the Forward Planning Task Group, and the Endowment Campaign and still found time to be a learning circle resource person and a vocational mentor. We are delighted to honour Barbara Barnett as a Companion of the Centre. Charlotte has led a full and exciting life, much of it in ministry in one form or another within the United Church of Canada. She is a graduate of the Centre (1972) and more recently has served as a member of its Central Council. She also became Acting Principal of CCS and served with dedication and distinction in this capacity for over a year and a half (2010-2011), at a time when there were budget and staff challenges. Her attention to detail, particularly to a revamping of the By-laws and governance structure has set CCS on a course which supports both its teaching work and its community enhancement. Her work was deeply appreciated by the staff and the CCS community. Charlotte grew up at Strathclair, MB. She began her diaconal ministry in shared ministry in BC where she served in three parishes/congregations with Anglican and United Church partners (1972-81). A very important part of her career was spent at St. Andrew’s College in Saskatoon, first as professor of pastoral theology (1982-2003), and as co-president (1993-98) and academic dean (2001-03). Her concern was for the students and their education in preparation for ministry. Her pioneering work in the area of feminist theology contributed to new understandings in the College and in the United Church. Along the way she earned an M.Div. at the Vancouver School of Theology (1978) and a Ph.D. at Union Institute (1991). She has also written in the areas of feminist theology, worship, disability and feminism. Expecting a quiet retirement, including time for her favorite activity, birdwatching, she moved to Winnipeg in 2004, but she couldn’t resist the call to return to theological education through The United Theological College and the Centre for Christian Studies. Charlotte has provided sound and cheerful leadership throughout her working life, and is continuing her service now in retirement. We honour Charlotte as a Companion of the Centre for her outstanding diaconal leadership and her commitment to the life and work of the Centre. 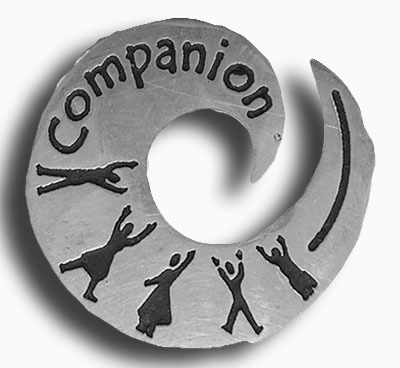 One might query, “When has Caryn not been a Companion of the Centre?” Certainly, her “companionship” has been evident since her student days, 1986 – 1989. From the beginning Caryn’s pastoral care was evident, especially with new students, and her enthusiastic embrace of the Centre’s mission of social justice, education and pastoral care was contagious. In her final year as a student, she became a Sessional Teacher in the Diploma and Continuing Education courses, and continued upon graduation and commissioning as a diaconal minister in 1989 until moving to Saskatchewan in 1991. Her years as Principal of the Centre from 1998 to 2008 called forth her gifts of ministry, leadership and organization. During the relocation challenges from Toronto to Winnipeg and the transitional challenges from residential to distributed learning, her visionary commitment enabled her to minister and to lead with sensitivity, strength, courage and wisdom. A combination of concern and wisdom led her to reach out to the alumni, desirous for them to view themselves as an integral part of the vibrant, living community of the Centre for Christian Studies. Engaging the Centre in a major capital campaign moved her into adventuresome continuing education, networking and progressive thought with the result of building a solid foundation for the Centre financially and programmatically. Academically, Caryn shone in intelligence, innovation and imagination with her BA (Victoria College, University of Toronto 1981); a Diploma from the Centre for Christian Studies 1989), a MRE (St. Michael’s, Toronto 1991) and a Doctor of Ministry (St. Stephen’s College, Edmonton 2009). These gifts were further demonstrated in her McGeachy Scholarship Award in 2010. 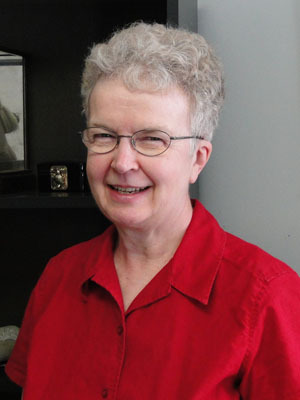 Both her D.Min thesis and her McGeachy Award focused on her passion for and commitment to the Centre’s mission: the “disjoining” of Deaconesses when they married (D.Min) and research into the history of United Church of Canada Deaconesses from 1897 to 1980. Her ministry is local, national and global, with social justice, education and pastoral care as major components of all ministry and leadership. Caryn, throughout her ministry, has been a Companion of the Centre and a Companion of all those (students, staff and alumni) who care about the Centre; the goodness in its past, the mission of its present and visionary possibilities of its future. We honour Caryn as a Companion of the Centre for her exemplary, strengthening, compassionate ministry to the Centre’s past, present and future. Mary Ellen attended Covenant College, graduating in 1964 and was designated deaconess the same year. Her husband, Ralph, was ordained as a United Church minister and settled in Newfoundland. In 1970 they returned for a year to Toronto, where Mary Ellen worked at the United Church national office while her husband studied at the Centre for Christian Studies. They returned to a new appointment in Labrador City, but three years later her husband was tragically killed in a car accident. With her daughter Heather, Mary Ellen returned to Ontario, studied at Emmanuel College and was ordained in 1978 and settled in Alberta. She served in several congregations in Alberta, and retired in 2004 from Sunnybrook United Church in Red Deer where she still lives. She remains active in retirement, including involvement as an active member of the Stephen Lewis Foundation through the ‘GrammaLink Africa’ program. Throughout her ministry Mary Ellen has been a good listener and educator, with involvement at local, presbytery and national levels of her church. She exhibits deep care and compassion for others – in the church community and beyond. Mary Ellen has been supportive of the Centre over the years, serving as a mentor, and most recently part of the Endowment Fund Campaign. Cathy has been Rector of St. Matthew’s Anglican Church in Maryland, Winnipeg for the last several years. St. Matthew’s is a diverse inner-city faith community whose mission is to serve its neighborhood and be a healing and transforming presence in the world. Cathy’s work exemplifies the inclusive, justice-seeking mission of the Centre for Christian Studies. Hers is a vision that is committed to solidarity with those on the margins of society, and it is a ministry that is always rooted within action or praxis. Cathy is also a sessional instructor in the Faculty of Theology at the University of Winnipeg. She authored Stations of the Banquet: Faith Foundations for Food Justice, an outstanding piece of theological writing which combines biblical and sacramental understandings of agriculture and the table, to consider critically the impact of our current North American diet upon our bodies and upon the earth. It also challenges Christians to be mindful of their consumption, recognizing always its gifted nature—a gift that cannot be hoarded. Cathy has served as Chaplain for CCS and fully supported a partnership between CCS, St. Matthew’s Anglican Church and St. Matthew’s-Maryland Community Ministry. She has also acted as a resource person during Learning Circles and supports the work of CCS in a multitude of ways. 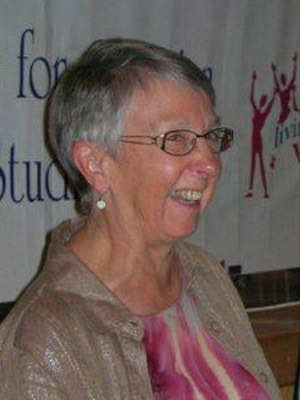 Nancy graduated from Covenant College in 1967 and since then has had a full life in both church-related work, at Naramata Centre and Metropolitan United Church in Toronto, for instance, as well as in the wider field of Canadian society, where she has been a strong advocate for women and for social justice. I am working on changing the national anthem from “in all thy sons command” to “in all of us command”. I raise issues like gender-based analysis and women, peace, and security everywhere I go. Nancy’s commitment to the values of CCS is well known, and she demonstrates these values with her integrity, clarity, and energy to better the lot of women. She has always done this publicly as well as privately, and has in this way given a high profile to the issues affecting women of all classes and races. Currently as a Senator since 2005 she is serving on the Senate’s Human Rights Committee. She is a member of the Parliamentary Friends of Burma. Nancy has been very supportive of the Centre for Christian Studies. Her generosity has helped the history book project, and the life of the Centre in many ways. Kathy is a diaconal minister at Erin Mills United Church in Mississauga, and has worked in this position for 20 years. She has an MRE degree from Emmanuel College. In over thirty years in ministry, Kathy has shown a constant commitment to diakonia. From her work on the Committee for Diaconal Ministry, as a founding member of Diakonia of the United Church of Canada, and her membership on its Coordinating Committee, Kathy lives out her belief in ministries of education, pastoral care and justice-seeking. She has a deep commitment to creating communities that embody mutuality and inclusion and is not afraid to challenge when she is concerned that unfair actions are being considered or when acted upon. On several occasions she has been a learning facilitator and mentor for at least nine, perhaps more, CCS students. She has provided leadership for some CCS programs in the past. She has also set up and taught a Leadership Development Module in Ontario. “I experience her as one who has a strong relationship with our scriptures which informs her understanding of and passion for community in every sense of the word. Her call to respect creation reflects her relationship with the Creator; her call to name injustice reflects her relationship with our Christ; her call to transformative learning reflects her relationship with Holy Wisdom”. Elizabeth was born in England and moved to Canada with her husband Michael, both physicians. Elizabeth was Medical Editor and Director of Learning Resources in the Program for Educational Development at McMaster University Health Sciences School. She first learned about CCS when CCS staff attended one of their Workshops on Problem Based Learning and was attracted by CCS’s principles and educational methodology. Elizabeth began her studies with CCS in Toronto in 1989. Following graduation in 1993, she became an assistant chaplain at the Joseph Brant Memorial Hospital in Burlington, ON later moving to Calgary where she is still an active Lay Pastoral Minister in her church. During CCS’s transition from Toronto to Winnipeg, Elizabeth was a member of the Transitional Central Council and played an intricate role in identifying and rallying people to put appropriate supports in place. Her vision and her willingness to move forward despite obstacles were a catalyst in getting people involved. Elizabeth served as Co-Chair of Central Council (98-04) and has been invaluable as an active member on several committees including: Communications, Development, Volunteer Recruitment & Support, the Endowment Working Group as well as on the Executive. In September, she agreed to be a member of the newly formed Development Task Group. She has, for the last several years, served on the Diocesan Committee to support the Diaconate (especially the permanent Diaconate) and its successor, the Candidates Committee. Elizabeth has a passion for the work of CCS seeing it as one of the places on the margins of our ecclesiastical world in Canada. She believes CCS performs a central role in the development of sincere competent justice oriented ministers to serve in our complex world and society. Undergirding her passion is a sense of the tremendous importance and sometimes sadly latent opportunities for diaconal ministry within both denominations. Dorothy graduated from CCS in 1959 and moved to the USA to accompany her partner, Garth Mundle in 1962. According to the rules of the church at that time, when a woman stopped working she was disjoined. It wasn’t until she returned to Canada in 1973 that she commenced working again and was reinstated as a diaconal minister. Dorothy’s earliest recorded volunteer work with CCS begins in 1994 when she organized a reception in Edmonton for the visit of then Principal, Trudy Lebans. She has been part of the Communications Committee, the Tapestry Editorial Committee, and acted as Editor of Tapestry for at least 6 years. Dorothy has mentored 4 students (1 in the Western Field Based Program and 3 in the CCS program). She has been part of interview teams, acted as a resource person for CCS and recently co-led a CCS Global Study Tour with Garth to Ireland. Dorothy has served as President of Conference for Alberta Northwest, worked on the Conference Sexual Harassment Committee, new church development in North Edmonton, chaired a committee of the Division of Mission in Canada and worked successfully in fifteen different team ministries. 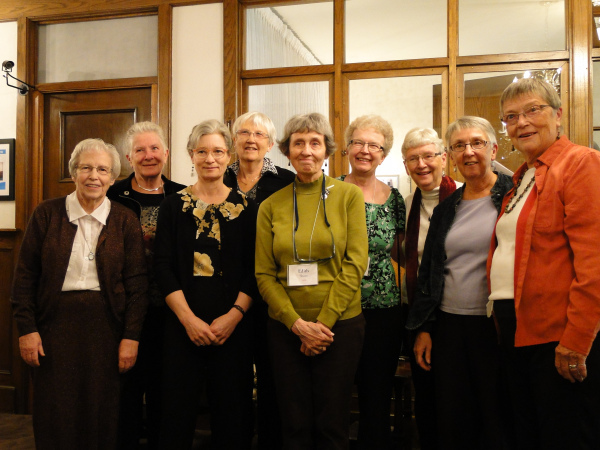 In Edmonton, Dorothy along with Mary Thomas (U60) were one of the earliest all female teams in ministry which proved to be a very formative time for Dorothy. Together they offered progressive teaching and encouraged others to strive for justice for all. Dorothy empowers others to move beyond fear to transformation and accompanies and encourages those who feel weak and disempowered. She has been a wonderful mentor and source of wisdom to many. Dorothy has made an incredible contribution to the United Church and has always promoted CCS. Her commitment to justice has taken her to the edge of the church like her work on behalf of the marginalized in community and church. Dorothy “walks the talk” and has that vision and courage to see that we do possess the power to alter systems and to change the way things are done. She strategized with others to ensure diaconal ministry was more visible and recognized in the United Church and committed to the formation of DUCC. 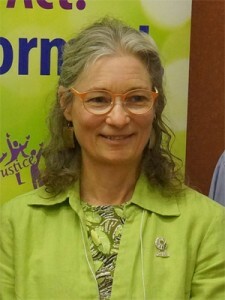 Shelley Finson was the prime mover of the Canadian Christian Feminist movement through her coordination of the Movement for Christian Feminism. She opened eyes, raised consciousness and called women to action. Although she was perceived as too radical by many in the institutional church, she served on the national United Church Task Force on Men and Women and through that work and her myriad of other influences and undertakings she profoundly shaped the United Church. Indeed she holds a place in the church and feminist halls of fame for all of North America. She supported women across Canada in their struggles against sexism and introduced them to feminist theologians around the world. Shelley has also had a remarkable influence on theological education. She served on the CCS Academic staff from 1978 to 1985 as the Director of Field Education where she worked with both the students in the program and the many field supervisors who were then part of the program. She was said to have “put them through their paces”, developing local educators throughout parishes and congregations. She was active in the North American Association of Theological Field Educators. After leaving the Academic Staff of CCS she was Professor in Pastoral Theology at the Atlantic School of Theology. She continued in association with CCS through her years in Halifax in many ways. In 2002 she became a member of the CCS Program Committee, providing excellent leadership in the development of many policies and program developments, seeing through a major program review and revision. She also served on the national United Church Education for Church Leadership Coordinating Committee and several of its task groups, where she was an advocate for diaconal ministry and perspective, for CCS and for experiential and praxis education. Shelley is a remarkable mentor for many, many people. She is a gifted facilitator, a wonderfully compassionate teacher, a critical and analytical thinker, a committed and articulate Christian. She has a clear and vital passion for a vision in which God’s fullness is known for all and she does not shy from her determination to work out of that passion. She does not mince words in the face of inequality and injustice. She is an advocate of the disempowered and a voice for the voiceless. She will speak truth to power, despite the discomfort of that action, and she does it with courage and above all with a genuine, deep and wonderful humour. Shelley became a student at CCS in the fall of 1962 and graduated in 1964. She was commissioned by the United Church as a Deaconess in 1965. After completing her MDiv she was ordained. Shelley has numerous degrees: Bachelor of Arts (B.A. ), Masters of Religious Education (M.R.E. ), Diploma in Christian Education Centre for Christian Studies, Master of Social Work, Doctor of Ministry (D.Min) and an Honorary Doctorate – United Theological College, McGill University. Shelley is widely published. Shelley was born in England, south of London, spent three years in Jamaica and arrived in Canada in 1956 and made her home in Toronto. Later she moved to Halifax, where she has retired. She lives there with her partner, Diane Tingley. Shelley has pancreatic cancer and is in palliative care. The presentation of her award is planned for April, 2008, but may need to be adjusted in response to her health. Ken DeLisle is a courageous and noted advocate for those on the edges of society. As an out gay man in ministry, he has led by example, spoken out and put himself at risk to move the church toward a more just and compassionate witness with and to gay, lesbian, transgender and bi-sexual people. Ken was commissioned by the United Church in 1994 after completing the Western Field-Based Diaconal Program, and was the first person in the United Church to undertake and complete ministry preparation as an openly gay man. Ken has been a committed volunteer and served many roles with Affirm United including representing Affirm United at several UCC General Councils and on a number of UCC committees. He has been a contributor to several church and other publications. At the Centre for Christian Studies Ken has served as co-chair of Central Council, on the Executive, Volunteer Recruitment & Support and Program Committees, and Task Groups on Conflict of Interest, Affirming, Governance and St. Stephen’s-St. Andrew’s College. His good humour, attention to detail and thoroughness have served to strengthen CCS and its ministry in the world. Ken grew up in Ontario and moved to Manitoba in the 70s. He has a BA in Arts, Political Science; a Master of Arts, International Affairs; and a Masters in Theological Studies in Diaconal Ministry. Before ministry Ken worked with the City of Winnipeg. He was commissioned and settled at the Winnipeg Church of the Deaf, then moved on to Rainbow Ministry, Chaplain at the University of Manitoba, followed by Interim Ministry at two churches in Prince Albert, Saskatchewan and currently is working at Cloverdale-Selkirk Pastoral Charge in Selkirk in team with another Diaconal Minister. Ken and his partner John Robertson live in Winnipeg. particularly in CGIT, Student Christian Movment (SCM) and YWCA. She worked as a social worker and in paid employment at the Metropolitan Toronto YWCA in the 60s and 70s. continuing education student and as a volunteer on committees and Council. In 1980 she completed her Doctor of Education at the Ontario Institute for Studies in Education. Her experience in a CCS classroom formed the core of her thesis research. was Principal from 1982 until 1991. She provided effective leadership for CCS during a time of many changes in both the school and the supporting denominations (Anglican and United). Gwyn brought energy, dedicated commitment, vision and passion to her work. She was a great source of inspiration. Since leaving employment at CCS Gwyn has been engaged in a large number of writing and facilitation projects for a variety of organizations, both on contract and as a volunteer. Her well developed skills are keenly sought after. Gwyn’s volunteer work with CCS has been extensive over the last 16 years. She has been a mentor and facilitator for many students, spoken publically about the school and advocated for CCS and diaconal ministry in many ways. A significant contribution has been the research she has conducted on many of the Principals of CCS and its predecessors for Tapestry and other publications. In 2001 Gwyn began writing a history of the Centre for Christian Studies, and has poured her energy, talent and time into this worthy project, with a plan to bring it to publication in 2008. Superintendent at St. George’s United Church in Toronto. Sylvia was trained formally in education and taught Home Economics in Brampton High School, and soon moved to Toronto Teacher’s College to teach home economics and to be Dean of Women. Because she was married, she never attained the status of“master”, being instead an “instructor”. Her paid work went on hold while she raised her three children, but she continued to volunteer and study in the church. In the mid-70s she began her work in lay ministry (staff associate) and also began her studies at CCS. She was commissioned as a Diaconal Minister in the United Church in 1979. Her paid ministry career continued for 26 years (until the age of 75) including a long pastorate at Eglinton United Church, Toronto. Sylvia’s exceptional skills at working with and empowering people brought her great success in pastoral and educational ministry. Sylvia was often called upon by CCS to resource student learning on teaming in ministry because of the remarkable ability she had demonstrated to work effectively with a large number of people. Retired now, Sylvia continues her long pattern of volunteering for numerous churches and groups. She was the first female chaplain of the Toronto St. Andrew’s Society, and President of the Society and volunteer chaplain at St. Matthew’s – Bracondale Seniors Home. 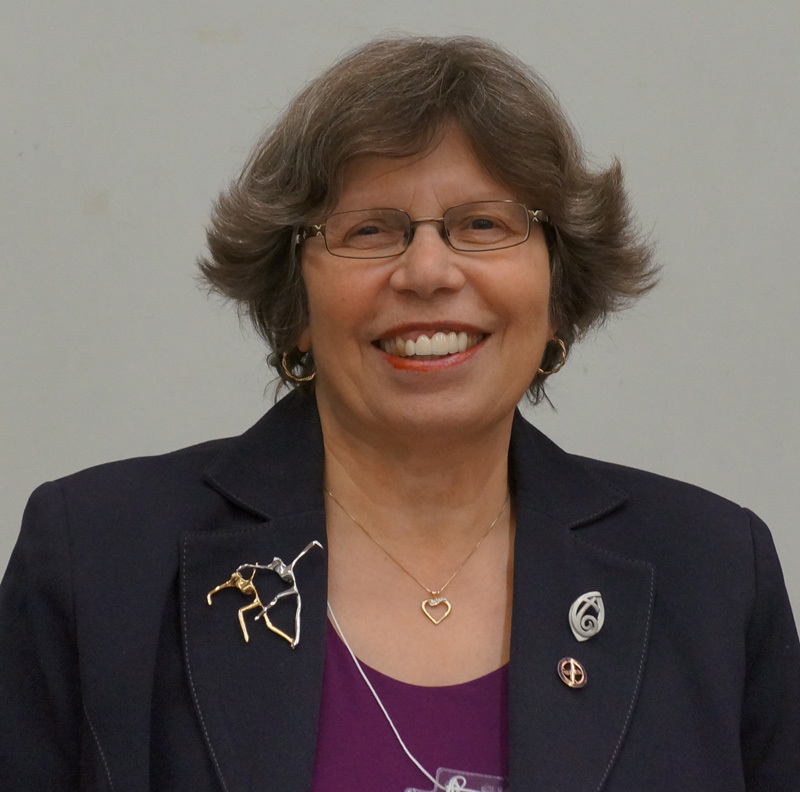 She has been involved at all levels of the United Church including chair of pastoral relations in Toronto South Presbytery, chair of the National Nominating Committee and a member of the General Council Executive, member of the National task group on sexual abuse and author of many educational materials. Betty is a Diaconal Minister in The United Church of Canada. She has served in ministries in Manitoba, Saskatchewan and Alberta. A good deal of her life in ministry has been devoted to the development of others through Christian Development work, Church in Society and World Outreach. In every situation she has demonstrated a commitment to a gospel of social justice, to mutuality, and collegiality. Betty always strives to see that everyone’s gifts and abilities are honoured and expressed. She has been particularly instrumental in raising up the ministries of women as well as advocating for the many voiceless minorities in our society. She seeks to find ways of being with others in community that is a true expression of right relation between ourselves and with God. Over the years Betty has supported and upheld diaconal ministry and persistently promoted it within the structures of The United Church of Canada. In the early 80’s she played a significant role in the formation of DUCC (Diakonia of The United Church of Canada). In the later 80’s and early 90’s she was instrumental in the development of the Western Field based program. She was on staff of CCS during the transition from Toronto to Winnipeg. In 2000, Betty continued in ministry as retired overseas personnel with the UCC in Zambia for four years. Along with teaching at the Zambia Theological College, she was instrumental in gathering together the diaconal ministers and the women who were spouses of the theological students, leading them in feminist and justice oriented Bible study. Betty Marlin, advocate of diaconal ministry, educator and tireless justice seeker, was conferred at the 2006 Annual General Meeting Thursday, February 23, 2006, at 6:15 p.m. CST in Edmonton (details to follow) and across the country via telephone link-up. The Centre for Christian Studies has been foundational for Bessie Lane’s life in ministry, one marked by a deep commitment to empowering others for service. Through her studies at CCS, she was grounded in a theology of service, education and social justice. Her connection with the school extends beyond her days as a student. Prior to studying, Bessie was on the secretarial staff. After graduation, she was the Dean of Residence and the Director of Field Education. She celebrates her connections with an educational institution that has contributed much to the ongoing story of the United Church in Canada. Bessie is both a Diaconal and an Ordained Minister of The United Church of Canada. Commissioned in 1966 and ordained in 1976, Bessie has demonstrated her commitment to the ministry of Jesus Christ through faithful service to the church and its people for 40 years. Bessie has been an inspiration to women, men, youth and children as educator, pastoral care provider, preacher, colleague, social activist, hospitality giver and friend. Her high energy and exceptional leadership have been dedicated to innovative and diverse programs in both Canada and abroad. Bessie has served congregations in Lindsay, Sudbury, Whitby and Oshawa, Ontario. Under her leadership, such diverse activities as a lay leadership development program and the building of a new church structure flourished. Bessie has shared in team ministry, emphasizing Leadership Development, World Mission, Bible Study, Confirmation and Chaplaincy. She has filled many leadership roles in Presbytery and Conference. In wider service, Bessie has worked with Habitat for Humanity in Central America since 2001. In 1996, Laurentian University in Sudbury recognized Bessie’s contributions with an Honorary Doctor of Divinity degree. Bessie Lane, faith-filled educator, pastor and compassionate friend to many, was conferred at the 2006 Annual Service of Celebration Sunday, March 26, 2006, 3:00 p.m. CST at St. Matthew’s Anglican Church, Winnipeg and across the country via telephone link-up. Edith Shore began a long journey of ministry in the late fifties when she attended and graduated from the Anglican Women’s Training College. Her first position was in a parish working as Director of Christian Education. Her efforts did not go unnoticed and in the early-sixties, she began work for the Diocese of Toronto as Director of Youth Work. She was a pioneer in this field, and also became part of a support group for women workers in the church. She was very adamant that while ordination was important, there were many other vital roles that women could play in the church, either as deacons or lay workers. A few years later Edith moved to the National Office of the Anglican Church to continue her work in Youth Ministry. This led to work writing and editing educational materials and working with women’s committees in the church. In the mid-sixties, Edith took a break from paid work with the church to raise her family. She still continued to do freelance writing and was involved with many organizations as a volunteer. In 1970, Edith became very involved in several groups who advocated for women’s rights and inclusion in the Anglican church. This soon expanded to similar work on an ecumenical level, and Edith was invited to serve on the planning committee for the first ecumenical Women and the Church Conference. Edith return to paid work in 1981 with the Canadian Council of Churches, responsible for social justice issues. She also did several contracts for the Anglican Church including the AIDS portfolio. In the 1990’s her focus shifted again as she became deeply involved in the area of justice and corrections, particularly related to women, as a staff member on the InterChurch Working Group on Violence and Sexual Abuse. This resulted in publication of a book, Lying down with Lions, about supporting women who have served time in prison. During this whole period Edith was also committed to supporting AWTC/CCS. She has worked on several events and was a Board member for 23 years, including a time as President. She played a key role in supporting the amalgamation process between AWTC and Covenant College which resulted in the formation of Centre for Christian Studies. She has also worked to create publications that promote CCS and its programs. Currently Edith serves on the Tapestry Editorial Committee and as a member of the advisory group for the CCS History Book Project. All seven letters of support which were included in Edith Shore’s nomination provided testaments to Edith’s strong leadership and commitment to areas of social justice, women’s advocacy, Christian Education and writing. Alyson Huntly graduated from CCS for Christian Studies in 1981, and also holds degrees from the University of Ottawa, the University of Toronto, and is currently working on her MTS in Diaconal Ministry at St. Stephen’s College. She has offered her empowering leadership, sharp analytical skills and gifted writing ability to numerous organizations and projects in the United Church of Canada and the community. Alyson has published five books: Rich World, Poor World; Daring to be United: Including Lesbians and Gays in The United Church of Canada; The Gentle Dark: Nighttime Poems and Prayers for Children; The Painted Trunk: A Children’s History of the United Church of Canada; and Naomi’s Daughters: Bridging the Generations. Alyson has also worked on many educational resources addressing social justice, poverty and sexism, and she is currently the editorial director for Bible Quest, an ecumenical children’s Christian Education curriculum. Alyson has been a passionate advocate for acceptance and equality for gay and lesbian peoples in the United Church for 2 decades. She has served as a member of Affirm United and on committees at all levels of the church. She has been called upon to share her skills as a resource person and facilitator to many congregations as they seek to become affirming congregations. Alyson has always been supportive of the CCS program for ministry. She is currently a member of the Program Committee and is supporting students on their journey as a diaconal mentor. We are most honoured and pleased to present this award to Alyson and hope that in some small way it recognizes Alyson’s gift of time, commitment and leadership to both the Centre for Christian Studies and the wider church. Marion served as United Church of Canada overseas personnel with the Presbyterian Church in the Republic of Korea (PROK) from 1957-1993. Her service was formally as a nursing professional and as a diaconal minister. Informally, however, Marion served as an advocate for women and the poor, an educator in the church and universities, a political activist and as a friend to countless people in Korea. Marion worked in the field of public health nursing at a time when this was a pioneering area of work in Korea. She served in three different locations and for the last several years in Korea, was a professor of nursing at Ewha Woman=s University in Seoul. Marion offered a model of ministry that empowered the people of PROK to seek justice in their country and champion human rights. Marion is a talented musician and constantly encouraged the Korean people to find ways to integrate traditional Korean music into the western services that the Korean people had adopted from the first missionaries. Since her retirement in Canada, Marion has worked tirelessly with the congregation of Trinity – St. Paul’s United Church to encourage them to be advocates for marginalized people in their own community. She serves in the “Out of the Cold” program, serving and nursing to all the folks who come for meals and conversation. Marion has also held positions in the Division of World Outreach of the United Church and was a consultant on the Voices United committee, translating several Korean hymns to be included in the hymn book. In recent years Marion has been an active volunteer in CCS’s program. She has played an instrumental role in supporting two Korean born students both formally as a Diaconal Mentor and less formally with their English. Marion has also provided pastoral care to students and their families in difficult times. Marion graduated from the United Church Training School (a forerunner of the Centre for Christian Studies) in 1955, and has degrees from University of Toronto, Yale, and Yonsei University in Korea where she wrote her doctoral thesis in Korean. Marjorie and Cyril Powles are deeply committed to ecumenism, to global mission, to social justice, to the ministry of the laity and to theological education that integrates academic learning with the realities of the world. Both are gentle persons who listen well, but who speak out for the issues about which they are passionate. They have a deep commitment to the Centre for Christian Studies. After graduation from the United Church Training School in 1943, Marjorie became the Student Christian Movement Secretary at McGill, where she and Cyril met. After marrying, Marjorie and Cyril served in Japan, Cyril’s birthplace, for the Anglican Church of Canada. Ministering first among rural parishes and then at the Anglican Theological College in Tokyo, they made a significant contribution to the development of the Japanese church between 1949 and 1970. Returning to Canada, Cyril joined the faculty at Trinity College, Toronto. His research interests encompassed broad disciplines, and include religious aspects of movements of social protest as well as Asian culture and religion. Marjorie became a key leader in the women=s movement in church and society. Many women church leaders are indebted to Marjorie for her mentorship and keen political analysis and strategizing during a time of great change for women. They have each lived out a commitment to life long learning. They have a high capacity to learn from experience, reformulate their positions in light of new thinking and context, and radically critique the past. Both Cyril and Marjorie have played a very active role in the life and work of CCS over the past 30 years. Both have sat on the Central Council, sharing their wealth of experience and insight. They have been directly involved with the students of CCS through formal and informal mentorship, particularly with Anglican students. They provided language support for Japanese students and a home away from home. Now retired to Vancouver, they continue their connection with CCS, most recently interviewing applicants to the program. As active workers and commentators in many areas of social justice work, the Powles have been justly honoured by many institutions throughout Canada and abroad. Carolyn McDade is a lover of language and sound. She is committed to the power of the human voice singing and speaking truth to move society to just and liberating transformation. Through song and singing she helps us deepen human consciousness and understand ourselves as part of a living planet. For nearly three decades she has brought women together to sing songs rooted in women’s experiences. A social activist, she weaves together the spiritual and the political – integrating personal, social, and planetary. She describes herself simply as a woman of faith seeking with others to touch what matters. Her songs are sung in faith communities in Canada and the United States, as well as feminist and social justice groups through out the world. In the mid-1980’s Carolyn’s music found its way into the life of CCS. Her words spoke the heart of many who needed to proclaim both love and rage in response to the call of God to seek justice and compassion. Invitations to lead workshops and retreats brought Carolyn to many parts of Canada from her home near Cape Cod. Carolyn participated in several events at CCS in Toronto, and out of her deep generosity she gave of her time and gifts to help support CCS’s ministry. She has also touched directly the lives of many, many Centre graduates, students, friends and staff as she works with gatherings of singers across the country. In 1998, after a three month residency at the Prairie Christian Training Centre, in Saskatchewan, Carolyn had a “dream that would not lie down” to make a recording with women from the Canadian west. As the dream took root in the imagination of others a movement emerged; Women~Land~Spirit. This project of women creating culture drew into its sacred web hundreds of women who gathered in small regional groups and in larger provincial and area groups to sing, celebrate, create, dance, quilt, paint, write and witness to a different way of being community. The project culminated in the recording of We Are the Land We Sing, in Banff in the summer of 1999. My passion: freeing women’s generative energies to act as social, planetary, cosmic beings on behalf of ourselves, one another, and the wellbeing of the whole. My ardent desire is that as a movement we nurture the myriad ways of creative expression as paths to deepen human consciousness, to envision a society worthy of this blessed Creation, to act in ways that are transformative. I plant my songs where women seek to lean strongly, confidently, passionately into their love of life, knowing that it is our essence to create. Generativity is a natural state of life. Living our lives in ways that heal and uplift, that bring our human family to right relationship and reverence, is deep and beautiful purpose. Carolyn places her life, her gifts and vulnerabilities in the midst of community who gather and scatter as leaven in the world. She places her life in circles who sing and seek justice, and in the curve of the rising and setting sun, the shifting of the seasons and the shining of the stars. Her poetry and music grow out of her own intense and tender love for this plant and in her faithfulness to and need for community. Her visions for justice and well being for all, grow out of the ground of community and are ploughed back into community in song and story. During the benefit concert on the evening of March 24, there was a Manitoba launch of Running Barefoot Women Write the Land, Wynne Edwards and Dianne Linden, editors. This anthology of women’s writings exploring their spiritual connections with the land was inspired by the Women~Land~Spirit project. The collection, in its second printing, is an absorbing collection of prose and poetry, enlarging the knowledge that “We are the land we sing, we are the prayer we bring”. Some years ago when I was young, fresh with life, I began to sing. I did not come from a singing family, yet I remember the day the piano was rolled into our home. My parents neither lauded nor condemned my exploratory jaunts into sound. This gave me a space that opened spontaneously to my life, where I did not have to announce or even know what would happen. It was an immersion – without pretension or expectation. What I do remember, and re-enact each time I sing, is the fluid quality with which I moved, melting into a terrain of sound. It was a place and a time of deep washing, a gentle though passionate rubbing of my being on the rocks of a river that soaked and embraced me, then some time later rode me back in its strong current to my place on that piano bench, in a room with walls, and a life that ticked with regularity and plan, distinctness and expectation. I was born and raised in Louisiana, though I have lived in New England for more than thirty years. I grew up with one sister in a Southern Baptist family. My parents both came from people rooted in the farmland and small towns of this rural state. Childhood was quiet, steady, insular. My father worked with farmers through the Department of Agriculture. My mother was a teacher and homemaker. Dad’s work required frequent moves. Being shy and uninclined to sports, I turned to my piano and my sister for friendship. As I finished high school and studied to be a teacher in a small state college, I lay down my relationship with music, setting aside childish things to become adult. But music was more than a childhood pastime. It was my soul that shimmered in the timbre of my voice; my love of self and life was practiced in this deep and intimate relationship with song. My creativity listed. My heart gradually and ever so subtly closed down. I lost myself in those early adult years. It was only by reclaiming my creative power in song and acting in social movement that I found health again. Gradually I made my way back to that piano bench, to the river that held it in such grace, that made song the essence of life, a deep prayer that permeated every cell and every space between cells with a fertile engagement with the simple act of living. My singing as a child, what I know now as prayer, was freed from the language of church. It was buoyancy that held without confinement, that affirmed my capacity to shape my heart into sound, that took my burrowed and expansive treasure of being and poured it in real voice upon the air – air that touched my piano, solid and wood – air that floated my unexplainable self to whatever ears beyond the wall might hear. It was an act of childhood courage and innocence to sing. What I know now – it is still an act of courage to sing – to really sing, in the way that disrobes the heart and lays its curve into the world, that leaves the soul whole and the body shining. Such singing as women leads us into confrontation with entrenched and unjust power. To be true to its timbre, the human voice requires authenticity of body, language, community. In this society, when we shape our body/sexual energy with integrity, tell what we know with candor, and create communities committed to the wellbeing of the whole, we invariably shake the status quo. The generation of women with whom I have come to consciousness are a remarkable presence in my life. We each had our story and these stories eventually brought us together. For each of us, our lived experience gave us a particularity of entry into the circle. War became my entry into social movements. Born in 1935, I was a child in World War II. The vulnerability and empathy that came with being a child, combined with the full exposure to broadcasts, newsreels, war movies, letters and conversations – in a community depleted of men, called to war, and held together by courageous and capable women – seeded anti-war and feminist consciousness as an adult. In the South, the close exposure to one another of black people and white people, of rich and poor, gave me immediate and personal experience of the severity and cruelty of racism and economic injustice and how they intersected. This proximity also gave us the graced moments when the Spirit broke through the human structures and we saw ourselves in one another. The understanding of separation as loss – loss of relationship, human resource, and soul – seeded work for racial and economic justice. Most institutions of my life – church, school, politics, economics – gave tight prescriptions of what it meant to be a woman. The women’s movement broke this open. I began to see the lives of women in my family in a different light – their strength, insight, courage. They lived immersed in their society, yet in many ways pushed out the walls of the tents of their culture. Like the river that gathered me from my early piano bench, the current of liberating power came like a flooding rush on the dredged and banked shores of patriarchy. Gathering in circles and telling our stories swung many of us into turbulent water. Seeing the patterns emerge from our separate tales brought the beginnings of social analysis, the early startling insights which became a journey, exciting, frightening, deeply compelling. Rage flared and embered. At the same time some inner garden within each of us emerged, revealing blooms. I found that rage rose where love was denied, when that which we loved most was desecrated. Singing helped us honor rage as a companion of women’s love. Over and over I turn back to that unrelenting and determined young woman who would not give in, who refused to continue on without herself, who dared through the pain to find and reclaim her generative energy of life. Through years I have witnessed in my own life and in the lives of so many other women what I can only call Life’s Profound Strategy. There is a place of ultimate dignity which cannot be conquered or deformed. At our inner core we are affirmed to be for ourselves and one another who we need to be. Life intends that we hunger to live, to live with spontaneity and intent, in ways that will not betray us and all that has brought us thus far. In 1970, a young woman student minister asked me to do the music for the first women’s service at the Arlington Street Church (Unitarian Universalist) in Boston, where I had moved with my family. Her only request was that it be music written by women. Frustrated by how little music I found written by women, I sat at my piano late one night and sang all that I wanted to say to my three young daughters asleep upstairs. This was the great turning for me – I began to sing from my experience. My life changed significantly. The women with whom I circled were eager to sing, especially to sing songs that honored our experiences as women – words, images, values. Women loved to sing together. All that we had thought would change quickly, instead entrenched and bore down on us, and we found hope, sustenance, inspiration, tenacity, clarity in singing. We bore witness to our time through song. For nearly thirty years I have continued to circle with women singing our lives, living our song. I hope that we can engender beyond us the act of singing together as a profound power and heritage – singing as authentic community. To be a group of people is not enough. We need to know why we come together, how far down we must dig to come upon a common bedrock from which our lives are raised. We need to know how we differ and value this difference. This means understanding conflict as well as consensus. This means leaning into honest exchange, being willing to look at the ways we cause suffering and oppression in another’s life, and to let this change our own. Songs of themselves are not paths to the soul. Singing does not automatically carry us there. When singers become the singing, however, some horizon, both inner and outer, opens and we know, if only briefly, why we live. Such moments do not assure that our plans will succeed, but we know what is worth doing. We have become part of the singing river, the long voice that has held, washed, and laid down ten million mornings of song, yet still rises with her bag of sounds and rubs the currents of river and wind over bare rock, bearing witness to all that exists in that moment. I now name myself simply a woman of faith seeking with others to touch what matters. My passion: freeing women’s generative energies to act as social, planetary, cosmic beings on behalf of ourselves, one another, and the wellbeing of the whole. My ardent desire is that as a movement we nurture the myriad ways of creative expression as paths to deepen human consciousness, to envision a society worthy of this blessed Creation, to act in ways that are transformative. The river sings on. . .